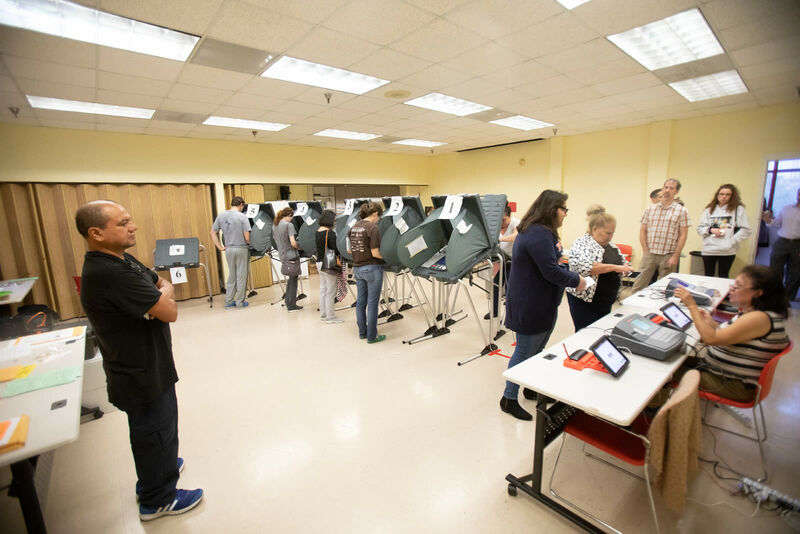 The Pantsuit Nation Texas chapter meet early morning on November 8 to get people in the city to vote. 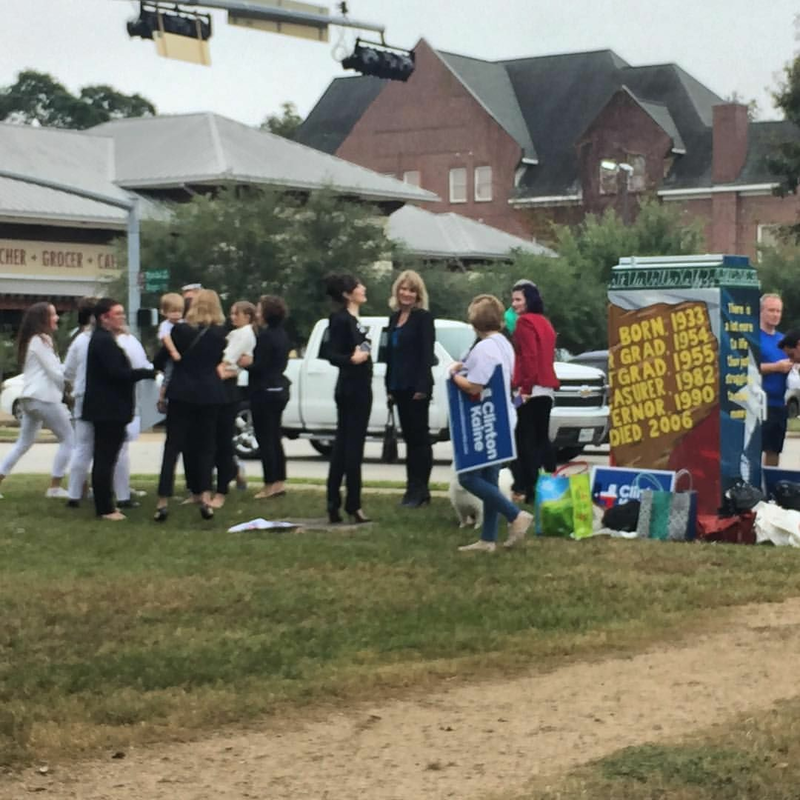 “I don’t know what y'all are doing, but I like it,” a driver shouted from her car window as she passed by a group of women clad all in pantsuits on a grassy median in the Heights this morning. Sporting suits all different styles and colors, from white slacks to black suit jackets to “Nasty Women Vote” T-shirts, the ecstatic ladies held signs aloft along Heights Boulevard in support of Democratic presidential nominee Hillary Clinton. They are members of the “Pantsuit Nation,” a private, invitation-only Facebook group created about two weeks ago in honor of Clinton. Those apart of the group say it's a "safe environment" where they can post personal stories, discuss reasons why they're voting for Clinton, and what they love about the former U.S. Secretary of State without being attacked by social media trolls. 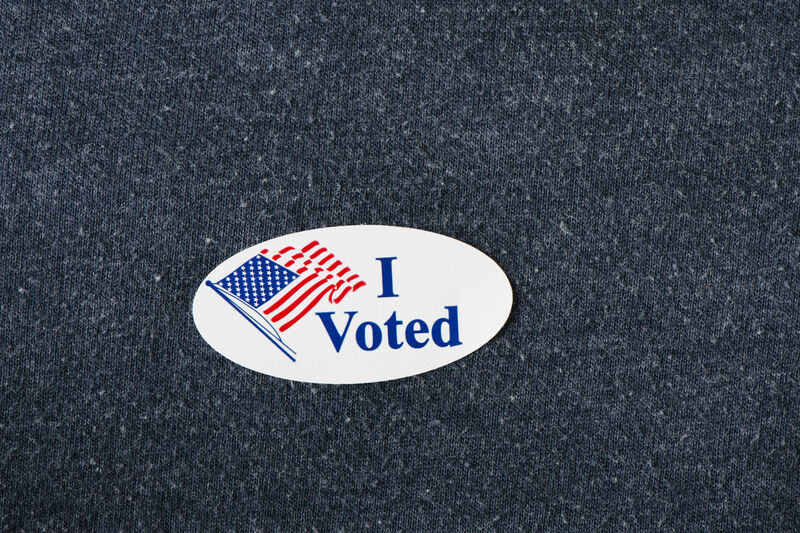 Pantsuit Nation—which vowed to don the Democratic candidate’s signature look of pantsuits on Election Day—has increased its ranks to 2,679,930 followers since Houstonia last checked at 12:32 p.m., with new members being added very minute. 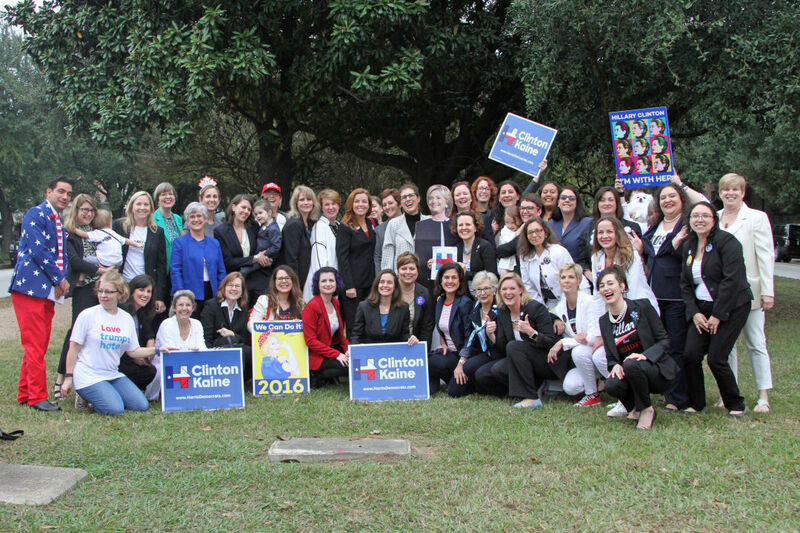 A Texas chapter was just created yesterday—hard to believe considering the turnout of women in pantsuits this morning in the Heights. 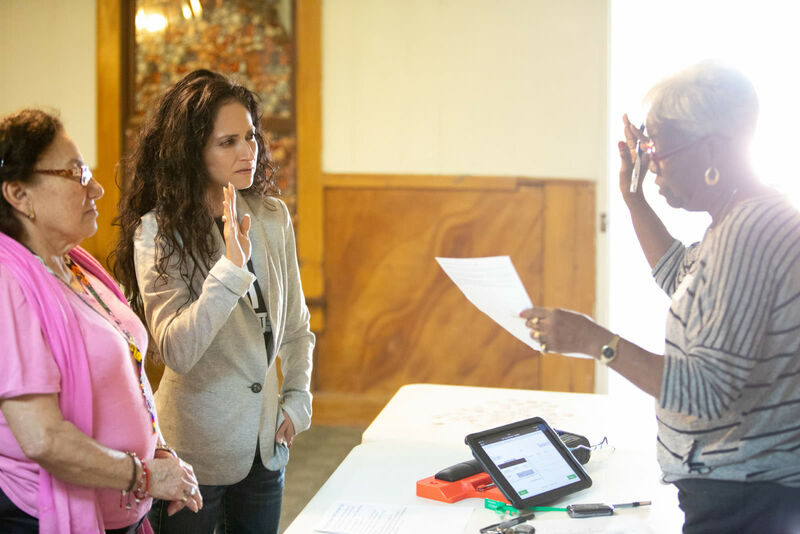 “[People in the group] encouraged individual states to start their own chapter, and Texas now has almost 9,000 members within 24 hours, ” says Ruthie Miller, a freelance copywriter and Pantsuit Nation, Texas chapter member. “They were encouraging people to wear their pantsuits today and to put it on social media because it’s going to be both a historic day and election.” In addition to a quickly growing base of Facebook fans, Pantsuit Nation currently has its own hashtag, #Pantsuitnation, which is going viral today as people all over the country post photos in support of the movement. Members of Pantsuit Nation rally at 6th St. and Heights Blvd. Around 50 to 70 members showed up along the median, a mix of mothers with young children, men and women of all ages. Even passersby walking their dogs or driving on the street stopped to take photos with the group. 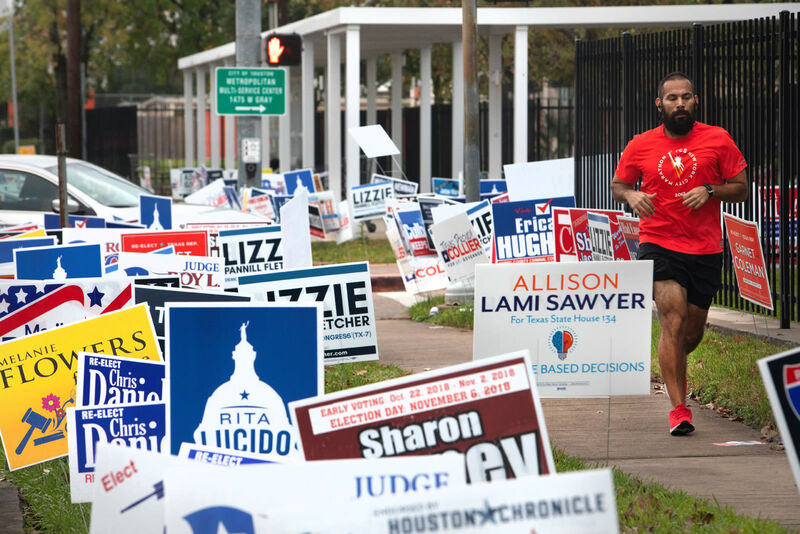 While Houstonia was outside chatting with the attendees, many on their way to work honked their car horns as they passed and shouted chants out the window. “It felt like a momentum this morning, and we rallied to harness our energy towards social change,” says Summerville. After an hour of picture taking and meeting new friends, the group dispersed. Some left for work and others agreed to meet up for mimosas. The Texas chapter plans to hold a second meeting today from 3 to 5 p.m. at Eleanor Tinsley Park downtown.